 Jakes Burgers and Beer in Flower Mound is the place to go after a fun day on Grapevine Lake, for pre-or post-game family meals or just because you don’t want to cook. We’re located just 10 minutes from Murrell Park on Flower Mound Road. Come check out our spacious patio for happy hour hangouts, or to enjoy the bright Texas sunshine. We’re famous for our locally-sourced 100% ground beef burgers, loaded with all of the classic toppings, our freshly baked poppy seed buns and our crispy hand-cut fries. We serve brunch on Saturday and Sunday in this location and Texas Monthly named us one of the “Top 40 Breakfasts in the State of Texas”! You’ll have a great time watching your favorite sports teams on our Hi-Def TVs while enjoying your favorite beer or any one of our locally brewed beers or handcrafted signature cocktails. 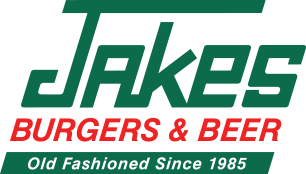 At Jakes, we’re pretty proud of our burgers and have been awarded “Best Burger In DFW” by the Dallas Observer, NBC DFW and many others. If you’re still not convinced, check out all of the many kudos we get from our loyal fans or the many publications who love our burgers too.